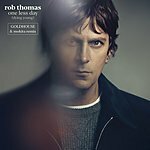 Robert Kelly "Rob" Thomas (born February 14, 1972) is an American rock recording artist and songwriter. He is the primary songwriter and lead singer of the band Matchbox Twenty. Thomas also records and performs as a solo artist. Thomas earned three Grammy awards for co-writing and singing on the Carlos Santana triple-platinum hit "Smooth," on the album “Supernatural” in 1999. He has also lent his songwriting talents to such artists as Tom Petty, Willie Nelson, Mick Jagger, Marc Anthony, Pat Green, Taylor Hicks, Travis Tritt and Daughtry. On April 19, 2005, after nearly 10 years with Matchbox Twenty, Thomas began his solo career with the release of “…Something to Be” which shot to #1 on the Billboard 200 chart. This marked the first time a male artist from a rock and/or pop group had debuted at #1 with his first solo album since the Billboard 200 was introduced 50 years prior. His first single off this album, "Lonely No More", reached #6 on the U.S. Billboard Hot 100 chart. The second single, "This Is How a Heart Breaks," was not as successful, but the third single, "Ever The Same," went gold and became a Top 5 Adult Contemporary hit. 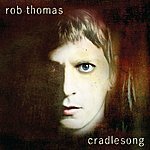 “Cradlesong,” his second solo studio album, was released on June 30, 2009 by Atlantic Records. The album's first single "Her Diamonds" was a success around the world, topping the Hot Adult Top 40 Tracks. Other singles “Someday” and “Mockingbird” attained success on the Billboard Adult Contemporary markets. The album received mostly positive reviews, with the single "Her Diamonds," a song written about his wife and her illness, receiving praise by many reviewers.. It debuted on the Billboard 200 at number #3 selling 122,000 copies, while reaching Top 10 positions in Canada and Australia. In 2004, the Songwriters Hall of Fame awarded Thomas its first Starlight Award, recognizing young songwriters who have already had a lasting influence in the music industry. MediaNet Content Guide: Portions of content provided by MediaNet (© 2014) and some generated from Wikipedia.org under the Creative Commons License for Attribution-ShareAlike.